When I decided that my career path must include animals, I began doing research of local sanctuaries. 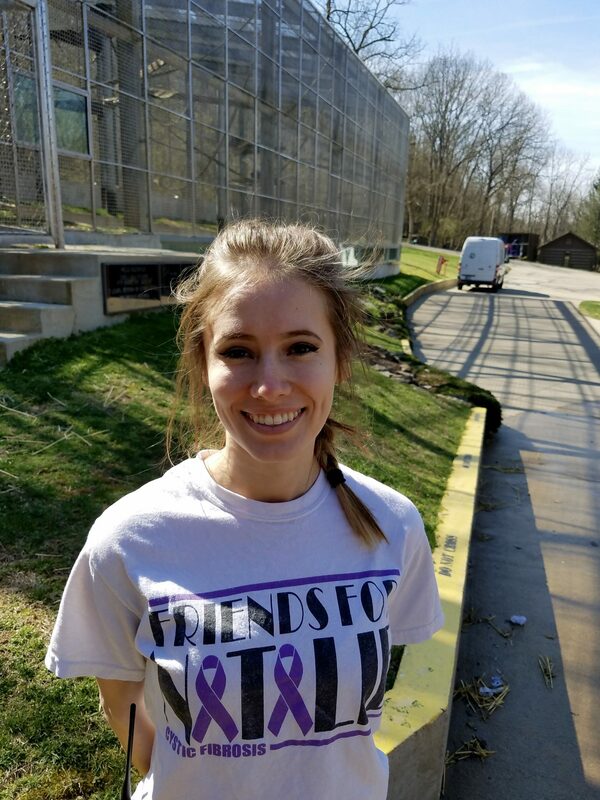 To my surprise, there was a primate rescue right here in Kentucky! I did not have any experience working in a sanctuary, let alone one with primates. 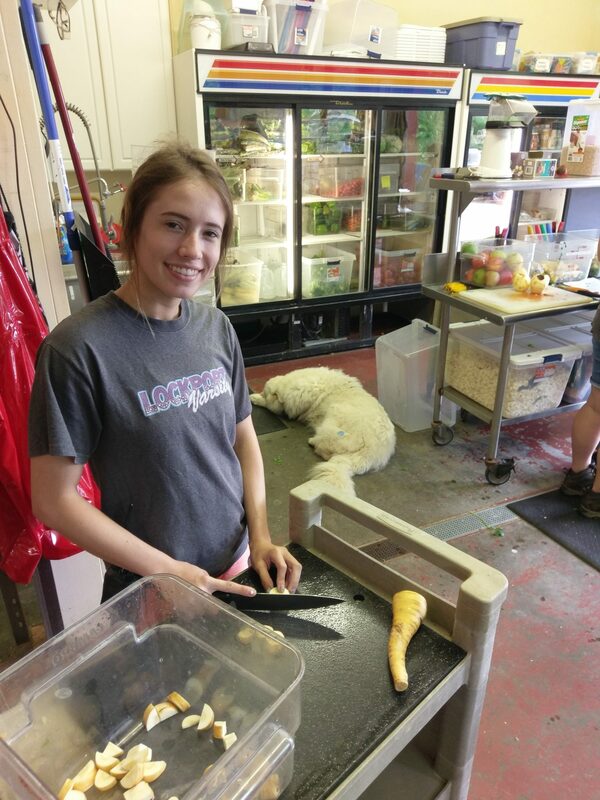 With my love for animals, I knew this internship program would be a great fit for me. I was ecstatic when I applied and was chosen to be a spring intern. 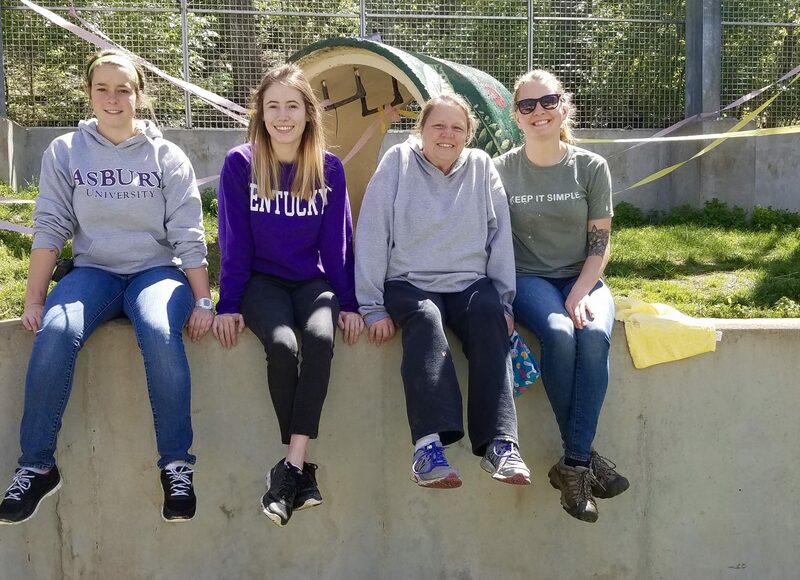 When I first arrived at the PRC, I was nervous, excited, scared, and eager, but most importantly ready to help in the caretaking of the primates. After my first day, I could already tell that I was going to love it. I remember coming home and talking to my roommates for hours about how inspired I am by the PRC and their purpose. I am thankful that I had the opportunity to work at a rescue that cares so much about the well-being and comfort of their animals. When I began my training, I was so impressed with how all the staff was able to identify all primates by their names. At the beginning of my internship I was struggling to catch on to their names and faces, but in a few short weeks, I was able to identify all 9 chimps! My advice to future interns is not to get discouraged if you don’t catch on to something right away. It is a learning experience and the staff is great and there to help! 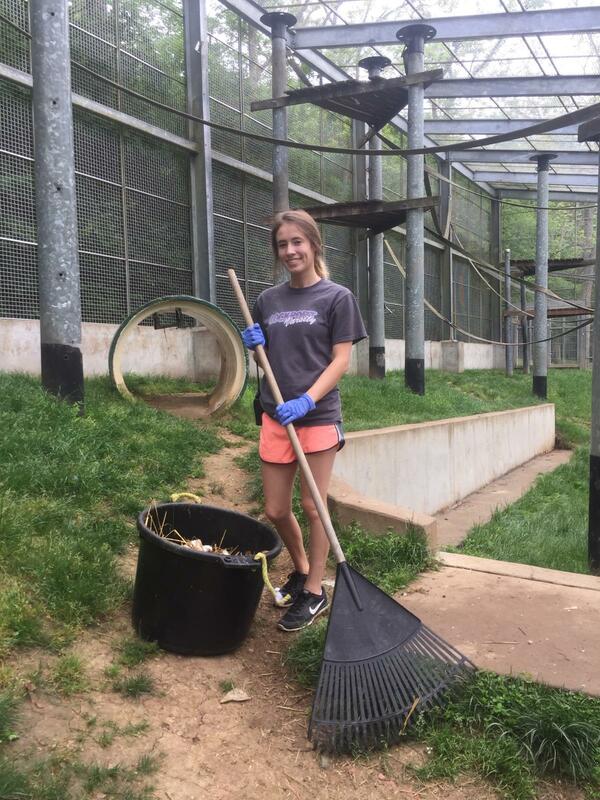 As an intern, I had many duties that kept me busy throughout the day. 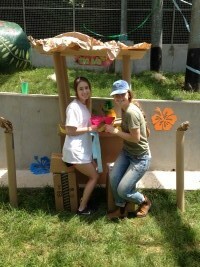 I especially enjoyed creating enrichment for the chimps. 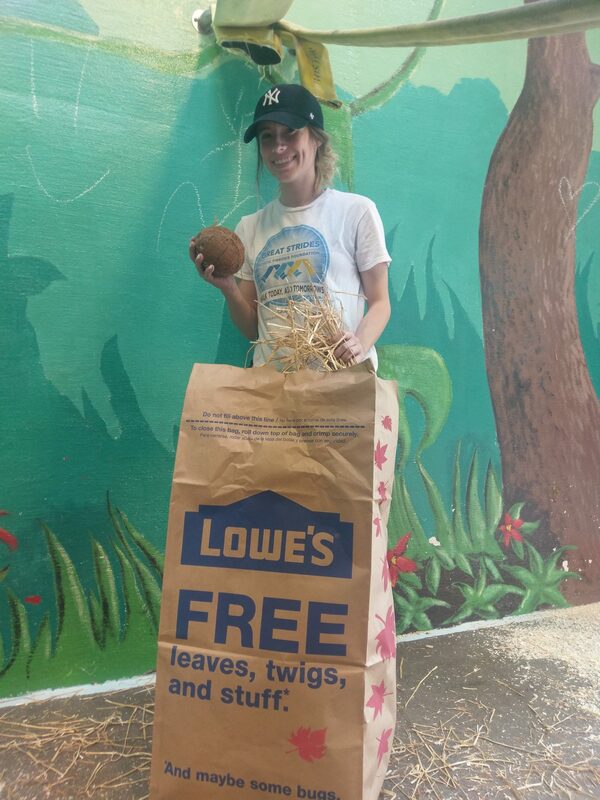 One of my favorite enrichment items I created was large lawn bags that I stuffed with pine shavings, straw, and some treats like dried fruit, lettuce heads, or coconuts. Cory especially liked these bags and could not hold back his excitement as he ripped them open! Fast forward 3 months and I have learned more than I ever thought possible. I absolutely fell in love with all the animals living at the PRC. My favorite part of this whole experience is how much I learned. Every day I learned something new; whether it was from the staff, volunteers, or even the chimps themselves. This is a great educational experience that I am so grateful to be a part of. With teary eyes, I am approaching the end of my internship at the PRC. All the staff, animals and memories are something I will keep in my heart forever. Thank you to the PRC for all the knowledge I will carry with me into my future career!